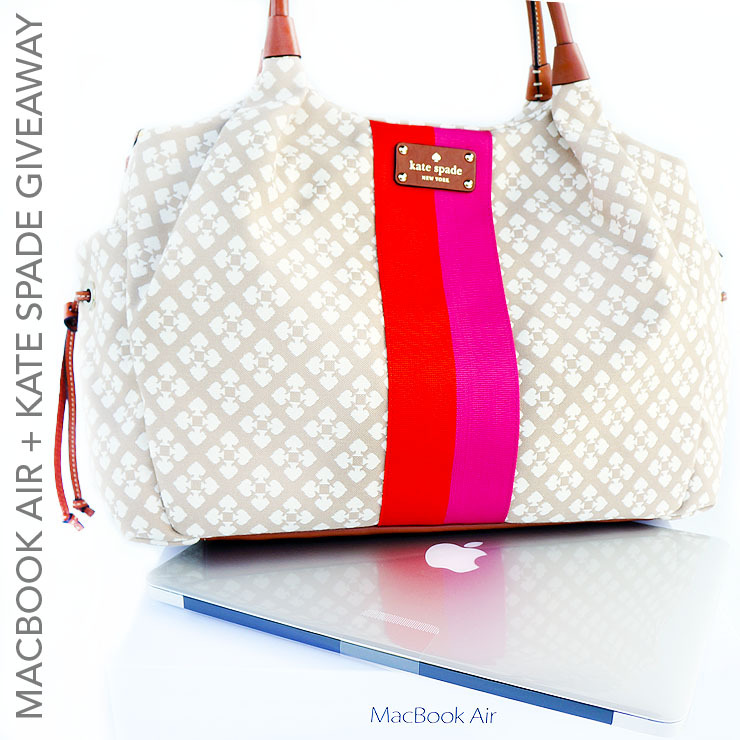 Fashion & Lifestyle: MACBOOK AIR & KATE SPADE GIVEAWAY! MACBOOK AIR & KATE SPADE GIVEAWAY! I have teamed up with some amazing bloggers to bring you this fun and fab giveaway! As always, we appreciate all of you so much, that's why we regularly do giveaways to reward our precious readers and followers. One lucky reader will win this 13.3 silver Macbook Air worth $1,199 and a Kate Spade tote/baby bag that you can use as a carrier for your Macbook Air and carry it in style wherever you go. The total value of the prizes is $1,600. Open to international contestants but international winner will be responsible for shipping and custom fees.